Join us for the launch of David Collier’s Chimo, Philippe Girard’s Killing Velazquez, and Mike Holmes’s True Story. As well as readings and book signings, there will be a round table discussion moderated by Conundrum publisher Andy Brown. 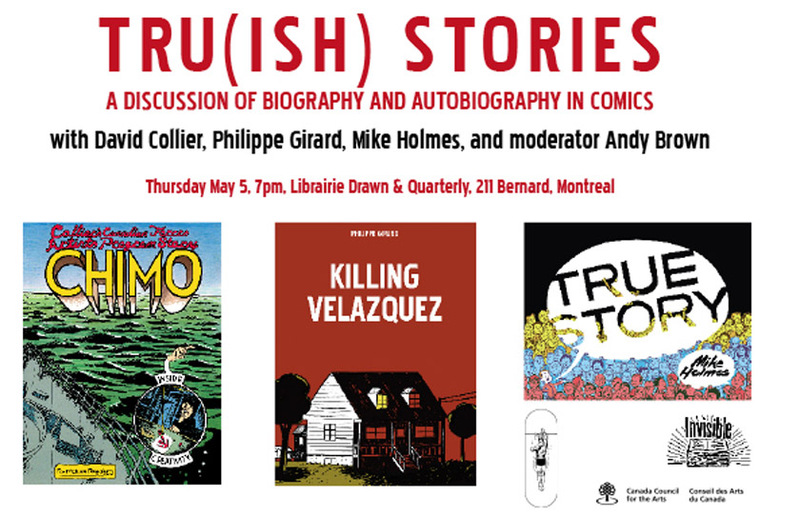 “Tru(ish) Stories” will allow the three authors to discuss the role of biography and autobiography in their comics.